Feeling much better today and we’ve had so much more snow which is in abundance throughout Blogland! This is my car – Jasper. 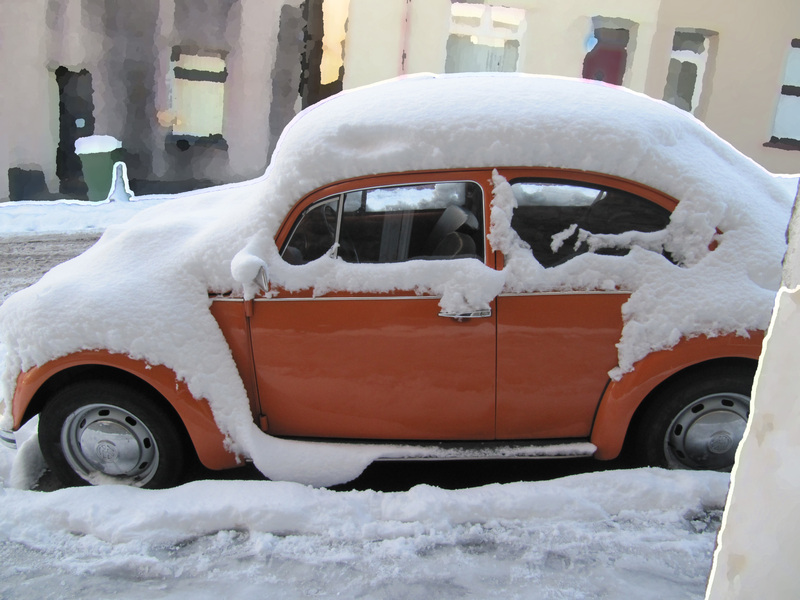 As you can see he’s rather snowed under, this was yesterday. J cleared the snow but he’s been covered with just as much today. I haven’t driven him for about two months which is down to him needing repairs mostly, I miss driving him! Here are my girls. 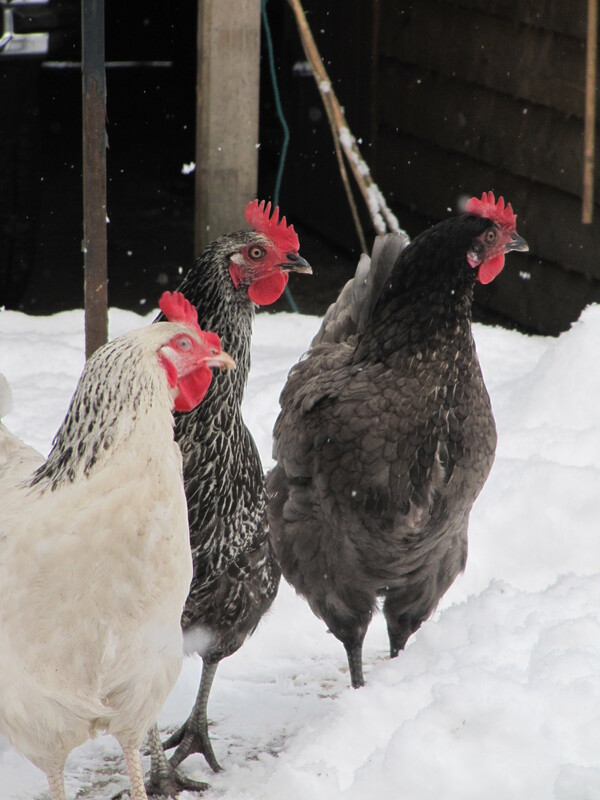 They wouldn’t leave their shed until I shovelled this path for them, it was so amusing to see their horror at all the white stuff! Front to back – Margo, Barbara and Jerry. 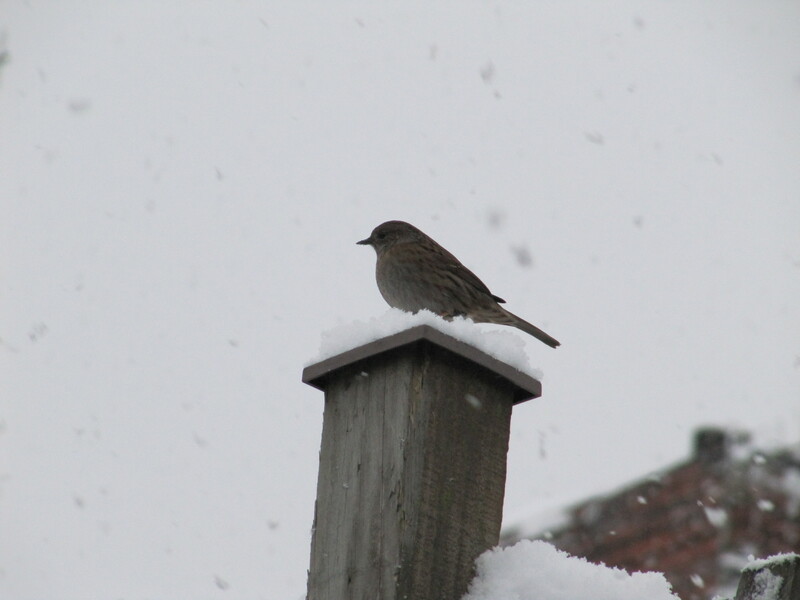 One of the most important things to remember in this weather is to feed the birds. Our garden is filled with sparrows, blackbirds, starlings, crows, bluetits and the odd robin or two (I actually saw two robins together today, I jumped for joy!) all through the day now which highlights the need to make sure there’s food out there for them. Slightly off topic, when I went out to shovel another path for the girls I heard wind rushing past me. I looked up to see hundreds of birds flying above. It was so exhilarating, my heart stopped for a moment. If it wasn’t for the snow stopping traffic and causing this wonderful silence I would never had heard the birds wings flapping so loudly as they flew past. I felt so lucky! 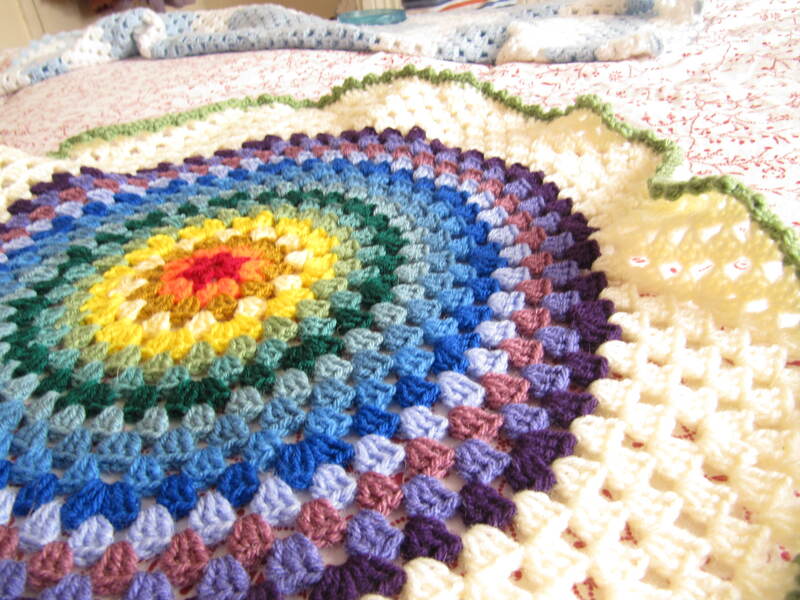 I made this gorgeous ‘Granny Mandala’ in a few hours, one of my favourite makes to date! 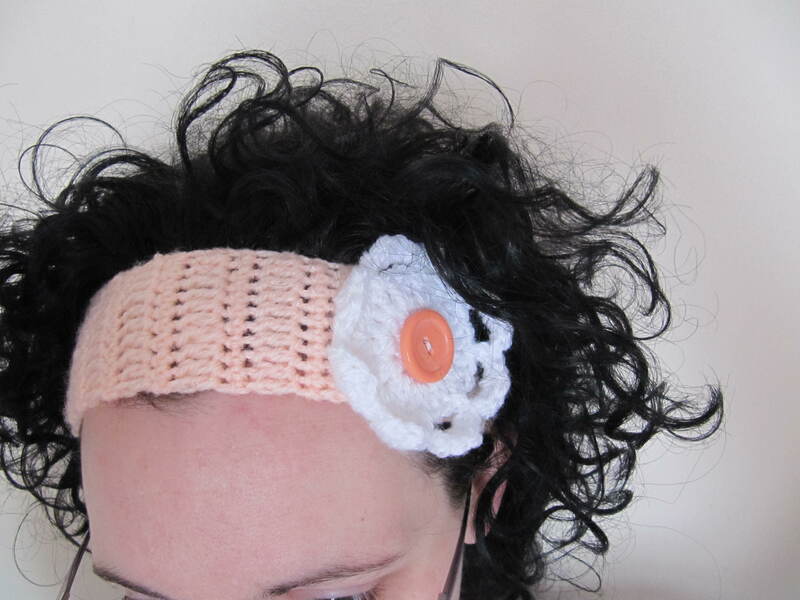 It’s all thanks to this amazing woman whose blog – Crochet with Raymond is so inspiring, I found it a few days ago and loving it! 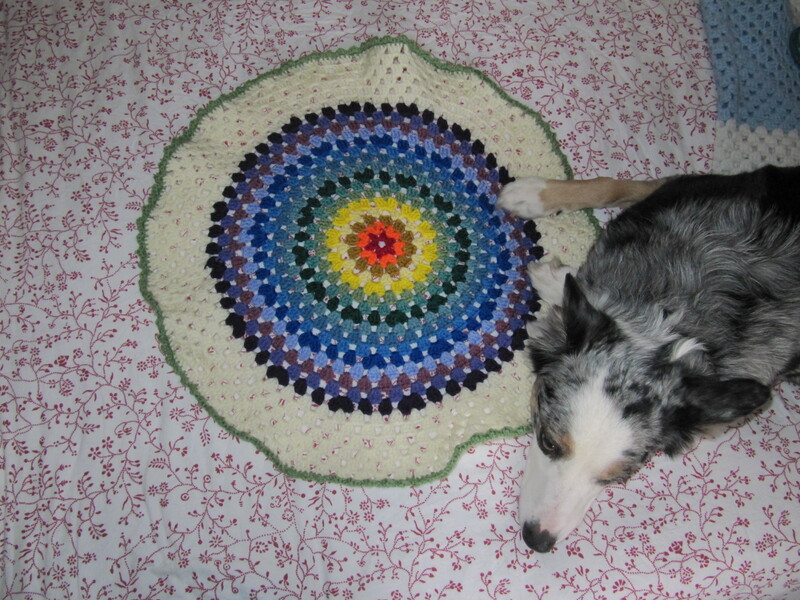 Here’s my lovely, crazy, barmy girl, Sky, edging her way onto the mandala. See how big it is compared to her! I wish I’d used more red in the centre but the greens/purples/blues are my favourites anyway. Well, I’ve got another project on the go which I’ll show when it’s complete. Time to go now, got a toddler to get to bed and the zoo wants their supper!